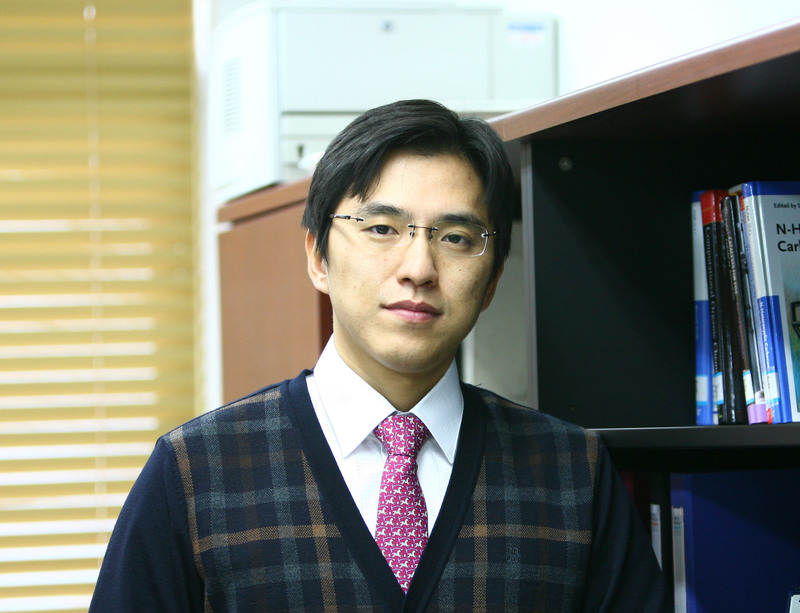 Professor Lim received the 2018 Society of Biological Inorganic Chemistry (SBIC) Early Career Award, for the first time, as a Korean Scholar. 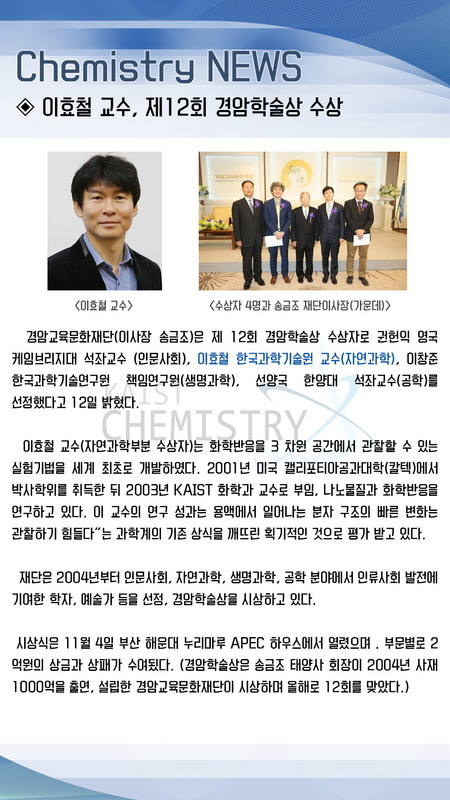 WASHINGTON, April 24, 2017 — The American Chemical Society (ACS) is pleased to announce a three-year collaboration with the Korean Chemical Society (KCS) to recognize outstanding contributions by distinguished scientists in Korea. The collaboration includes an annual award and a symposium. 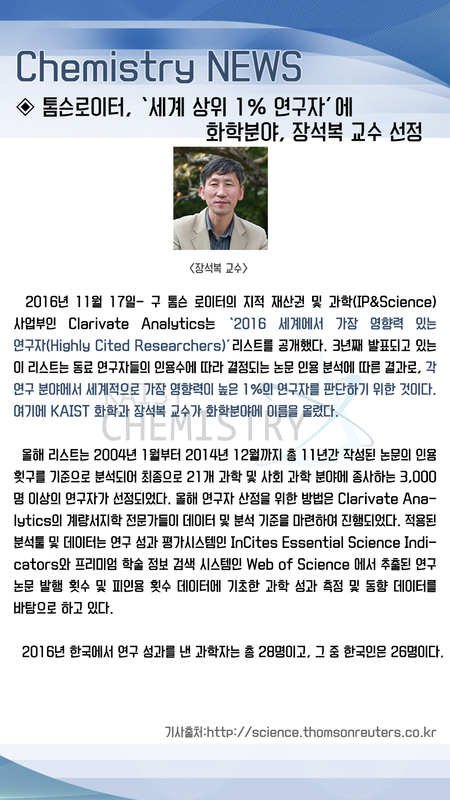 The new ACS-KCS Excellence Award — sponsored by Chemical Abstracts Service, a division of the American Chemical Society — honors a scientist working in Korea who is excelling in the field of chemistry. The recipient is selected by KCS and receives a cash award, three-year complimentary access to SciFinder and a three-year ACS membership. The award will be presented annually during the KCS spring meeting. 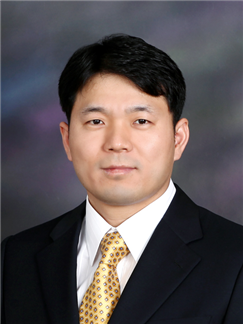 For 2017, the ACS-KCS Excellence Award recipient is Sukbok Chang, Ph.D., a director of IBS, a professor at KAIST and an associate editor of ACS Catalysis. 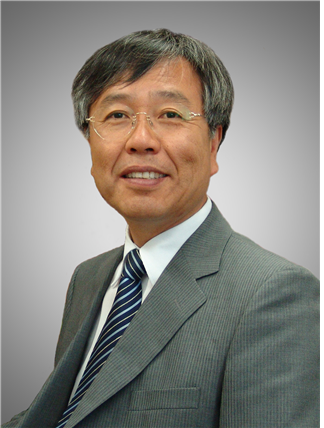 Chang is being honored for his development of catalytic systems enabling highly selective and efficient C-H functionalization of low reacting molecules. He received his award on April 20. As part of the KCS spring meeting, which occurred April 19-21 in Kintex, Goyang, ACS Publications also hosted a symposium entitled “Chemistry for Next-Generation Materials and Life Sciences.” The symposium was jointly coordinated by Joon Won Park, POSTECH and chair of KCS’ Division of International Cooperation; Carolyn Bertozzi, Stanford University and editor-in-chief of ACS Central Science; Jwa-Min Nam, Seoul National University and vice-chair of KCS’ Division of International Cooperation; and Christopher Chang, University of California, Berkeley and senior editor of ACS Central Science. The symposium featured distinguished keynote presentations from a variety of global scientific leaders. The 2017 QS World University Rankings by Subject rated Chemistry at KAIST 18th in the global ranking. The London-based university ranking by Quacquarelli Symonds, Ltd. announced the global university ranking by 46 subjects on March 8. 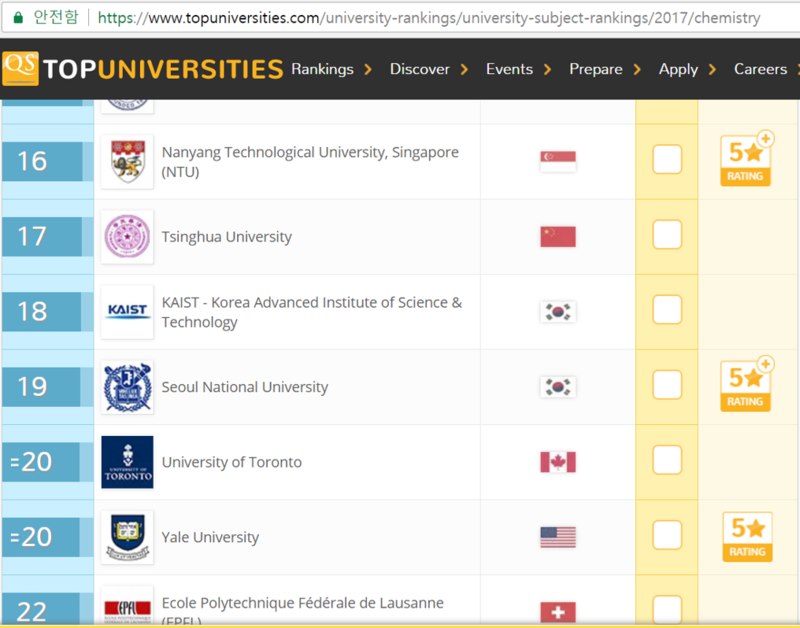 QS rankings are based on academic reputation, employer reputation, the number of research citations, and research accomplishment index (H-index). 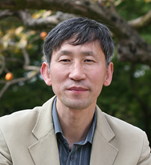 Distinguished Professor Ryong Ryoo of the Chemistry Department at KAIST, who is also the Director of the Center for Nanomaterials and Carbon Materials at the Institute for Basic Science (IBS), and his research team have recently published their research results entitled "Lanthanum-catalysed Synthesis of Microporous 3D Graphene-like Carbons in a Zeolite Template" on June 29, 2016 in Nature on a new method to synthesize carbons having graphene structures with 3D periodic micropores, a trait resulted from using a zeolite as a template for the synthesis. The research team expects this technology to find a range of useful applications such as in batteries and catalysts. 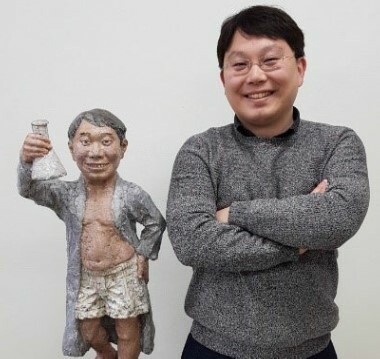 Professor Mu-Hyun Baik of the Chemistry Department at KAIST and his student collaborated with an international team to discover a novel chemical reaction, carbon-hydrogen borylation using methane, and their research results were published in the March 25th issue of Science. 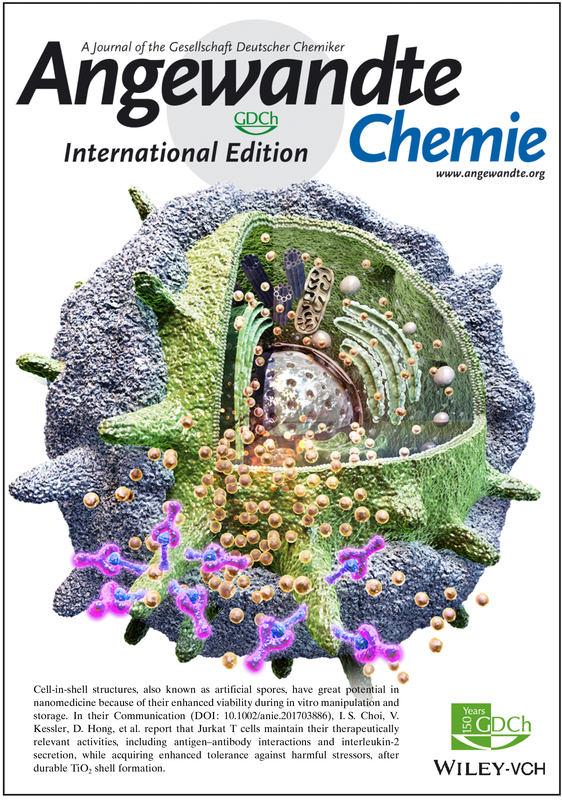 For details, please refer to the following press releases from the Institute for Basic Sciences (IBS) in Korea and the University of Pennsylvania in the United States. 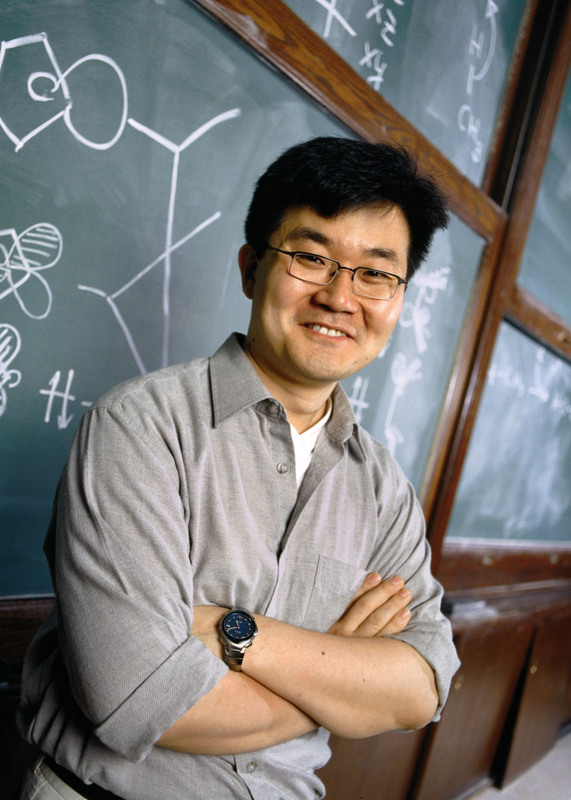 Professor Hyunwoo Kim of the Chemistry Department and his research team have developed a technique that can easily analyze the optical activity of charged compounds by using nuclear magnetic resonance (NMR) spectroscopy. 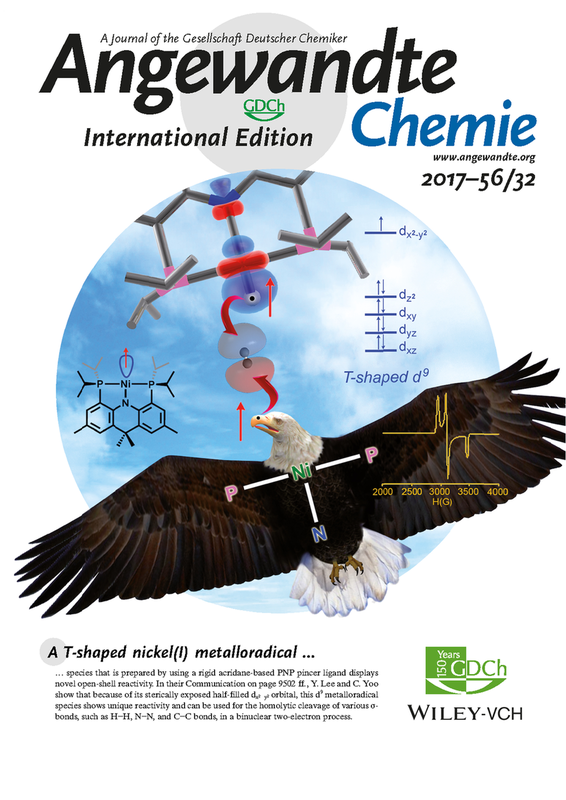 The research finding entitled “H NMR Chiral Analysis of Charged Molecules via Ion Pairing with Aluminum Complexes” was published online in the October 19th issue of The Journal of the American Chemical Society. The technique relies on observation of the behavior of optical isomers. Molecules with the same composition that are mirror images of each other are optical isomers. For example, the building blocks of all living organisms, amino acids, are a single optical isomer. In our bodies, optical isomers bring different physiological changes due to their distinct optical activities. 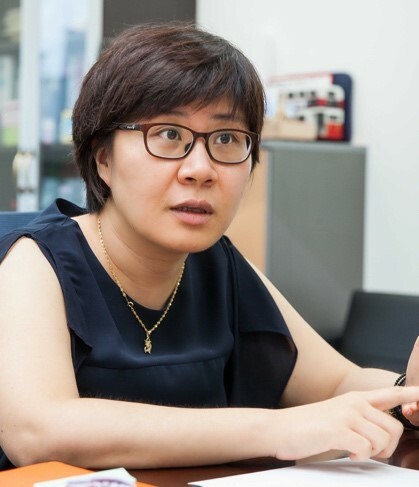 Therefore, controlling and analyzing the optical activities are critical when developing a new drug. High-performance liquid chromatography (HPLC) is the de facto standard of analyzing the optical activity of a compound. However, HPLC is very expensive that many laboratories can’t afford to have. In addition, with the machine, one analysis may take 30 minutes to one hour to complete. It lacks in signal sensitivity and chemical decomposition, and the application is limited to nonpolar compounds. Usually adopted in analyzing the structure of a chemical compound, NMR spectroscopy requires only one to five minutes per single analysis. Since it is essential for analyzing the molecular structure, many chemistry labs have NMR equipment. However, until this technique was invented, no other research team had reported an effective way of using the NMR spectroscopy to decompose the signal of chiral activity of a compound. The research team uses negatively-charged metal compounds in NMR spectroscopy. The technique employs negatively-charged metal compounds which bond ionically to positively- and negatively-charged optical compounds. As a result, the NMR spectroscopy can distinguish the signal from chiral activity. Not only can it analyze various chemicals without structural constraints, but it can also be used for both nonpolar and polar solvents. 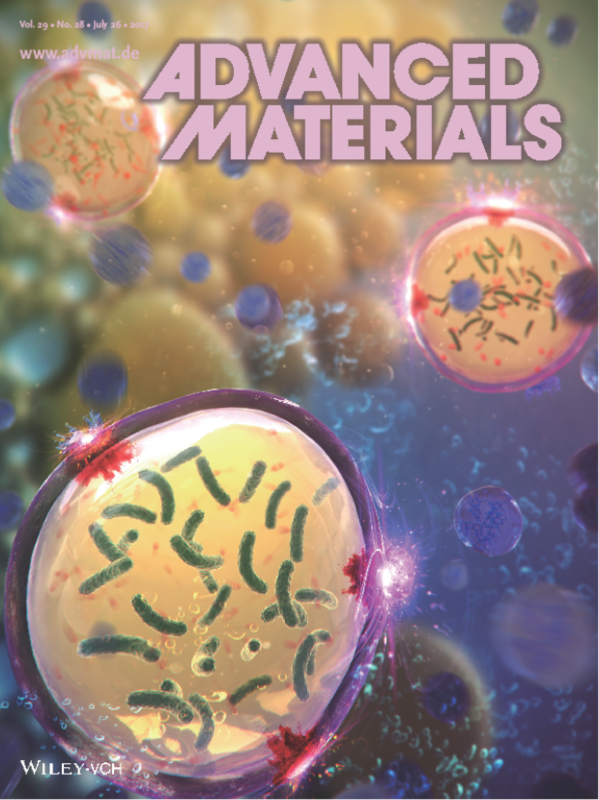 This research was sponsored by the Center for Nanomaterials and Chemical Reactions at the Institute for Basic Science and the Supercomputing Research Center of KAIST. The Ministry of Science, ICT and Future Planning (MISP) of the Republic of Korea announced the 2015 Knowledge Awards on October 20, 2015. 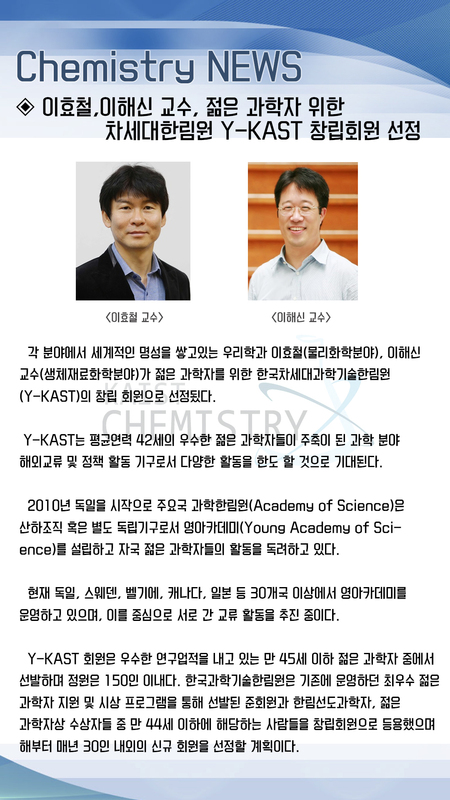 Two KAIST professors received the award, respectively. 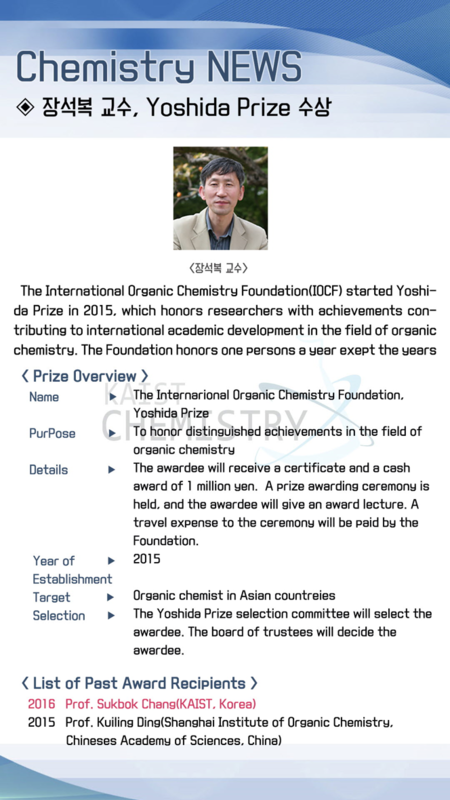 Established in 2009, the awards are presented to Korean scientists whose publications have contributed to the international science community. Specifically, the MISP used two biggest science databases, Science Citation Index Expanded (SCIE) and Scopus, to identify ten highly-cited papers ranked in the top 1% by total citations in the past ten years. 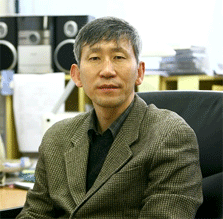 Professor Sukbok Chang of Chemistry (left in the picture below) is recognized as a global authority in the field of catalytic hydrocarbon functionalization. 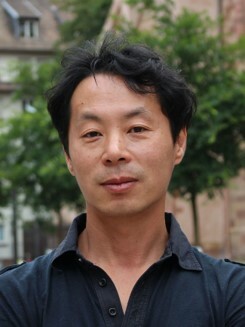 His paper entitled “Palladium-catalyzed C-H Functionalization of Pyridine N-Oxides: Highly Selective Alkenylation and Direct Arylation with Unactivated Arenes,” which was published in the Journal of the American Chemical Society in 2008, was once selected by Thomson Reuters as one of the “Most Noticeable Research Papers of the Month.” In 2011, the American Chemical Society included his paper in the list of the top 20 research papers that were most frequently cited in the last three years.